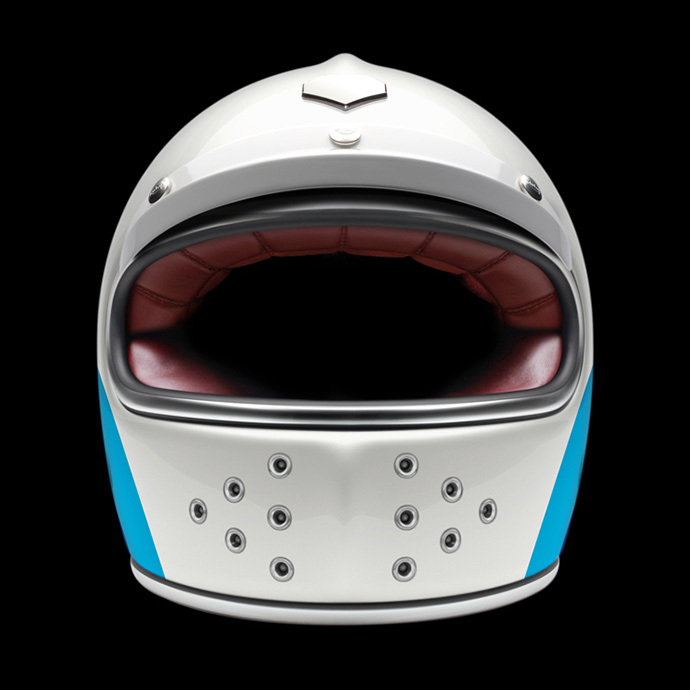 Ruby, makers of fine motorcycle helmets and accessories, is celebrating the 90th anniversary of BMW Motorrad with their limited edition Munich 90 collection. 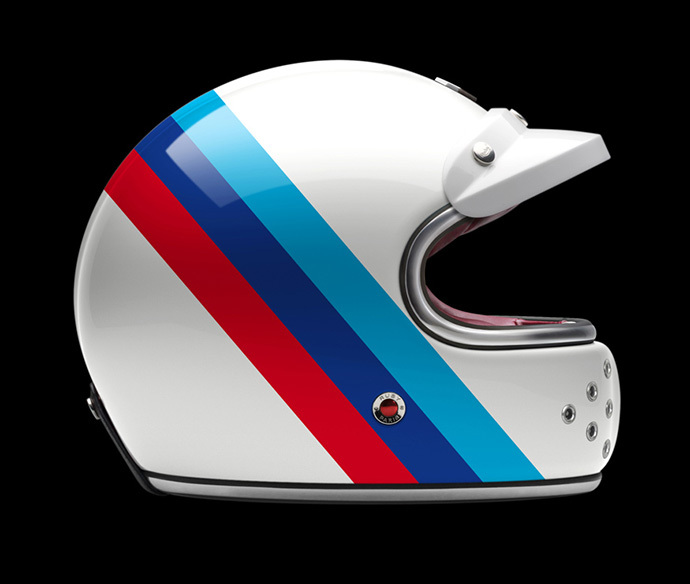 The collection of helmets feature the color schemes of BMW’s legendary racing motorcycles. These are stunning, and very expensive, but could be nice as a decorative piece in the home. I’ve always been a sucker for BMW’s racing stripe graphics. 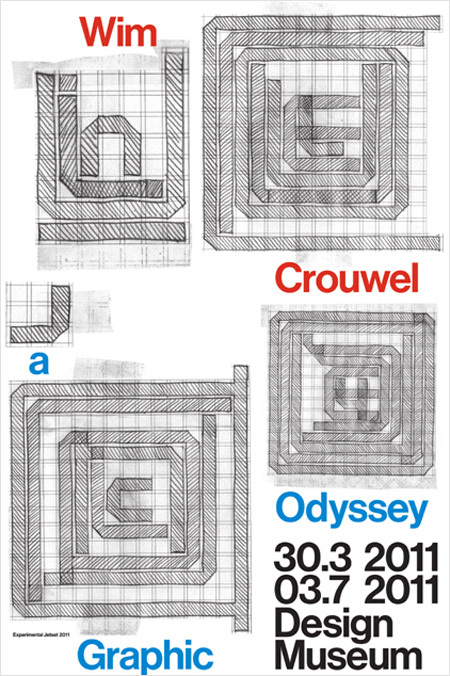 It’s seems like it’s Wim Crouwel month, and deservedly so. Unit Editions and the Design Museum have asked a group of highly regarded graphic designers to design a poster for the “Wim Crouwel, A Graphic Odyssey” exhibit at the Design Museum. The designers were to create a design based on the dimensions and grid of the Stedelijk Museum posters created by Crouwel. My personal favorite is the one designed Experimental Jetset that is pictured here. Each poster is 635 x 950mm and screen-printed on Pristine white Colorplan. You can grab a copy at the Design Museum and Unit Editions. Creative consultancy Browns was kind enough to send me photos of their latest project: a limited edition book for Invesco Perpetual featuring beautiful photos by Magnum photographer Donovan Wylie. I’m a big fan of photos spanning across two pages, it really enhances the experience, especially when the images are this stunning. The vertical lines is also a nice touch, they reveal the underlying grid. Working closely with photographer Donovan Wylie/Magnum, Browns have produced and designed a new limited edition book for Invesco Perpetual. The resulting imagery from the shoot becomes part of Invesco’s image library and is used across all of their communications collateral. This iconic flat top mountain was used by Browns when redesigning the Invesco global Identity in 2008. I posted all of the high-res images of the book on Flickr. Mash Creative have released a 2011 version of their beautiful limited edition ‘minutes’ calendar, a successor to last years successful 2010 ‘seconds’ calendar. This one has been printed with glow in the dark ink so you can enjoy it at any time of day. The human race seems to be obsessed with time, it’s the one thing we never seem to have enough of. The year ‘Twenty Eleven’ (2011) is made up of five hundred and twenty five thousand, six hundred minutes, that’s an average of around fourty three thousand, eight hundred minutes a month. Our calendar has been designed to be a typographic representation of the year, each month has been broken down into minutes which have been listed below each month name. 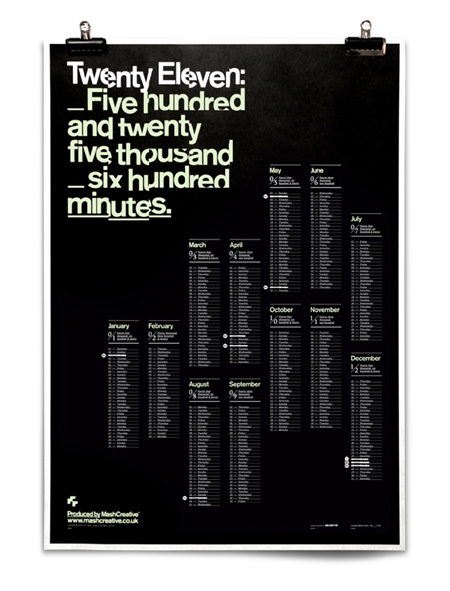 The jumbled title text at the top of the poster continues the theme from last years calendar and has been influenced by old analogue flip clocks. The calendar has been printed with glow in the dark ink allowing the design to take on a completely different look at night. Using the idea of sidereal time (star time) the highlighted months glow like a constellation of stars. Expertly screen printed by Bob Eight Pop – each poster has been printed in white and glow in the dark ink and printed onto high quality 160gsm Raven Black Kaskad. Each poster is hand numbered and signed by the designer. You can grab one of these beauties from Counter Objects. 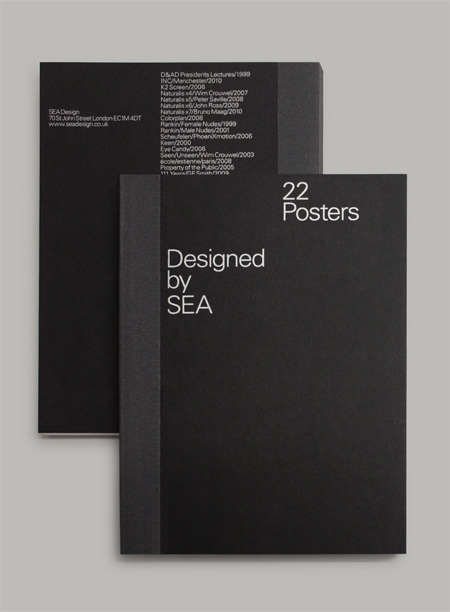 SEA‘s latest publication ’22 Posters’ has been produced in conjunction with an exhibition of work in Belfast. The book features, as A6 postcards, 22 highlights from their poster archive, including designs for K2 Screen, Rankin, GF Smith and Wim Crouwel. The book is printed in 5 colors on GF Smith Ebony Colorplan/Naturalis paper and quarter bound in dark grey cloth. Only a limited amount are being produced and you can purchase a copy from their website for £5.00 + p&p.